Home / Blog / The Soccer List – Arsene Gets Shirty! The Soccer List – Arsene Gets Shirty! If someone gets sent off, but no one knows who it is, did it even happen? It’s Monday and well that means it’s time for me to climb inside “The Week That Was” machine and re-visit some stories from…errr…the week that was, it’s another edition of The Soccer List. The HORROR! 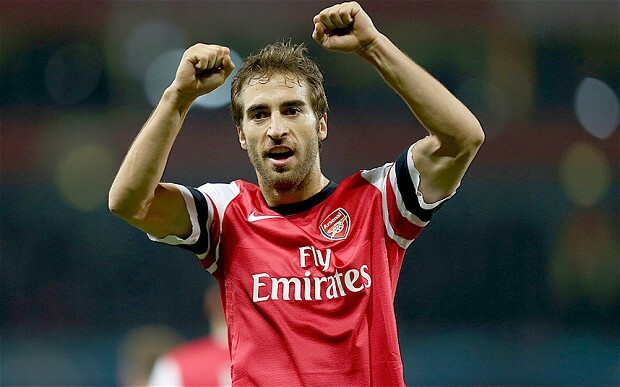 Flamini cut his sleeves for comfort, the kit man was FURIOUS! That’s right he took a pair of scissors to his sleeves! Apparently the Arsenal kit man was furious and complained to Arsene Wenger, who told Flamini that he won’t be cutting his shirts again, because it’s disrespectful to the history of Arsenal for something like that to happen, and as it was the second time Flamini had done it, he had to be publicly chided for it. Oh by the way Arsenal made short work of their French opponents and qualified for the next stage of the Champions League, but who cares about that when sleeves are being cut! Like lambs being led to the slaughter my favourite German side, plucky little Bundesliga newcomers Eintracht Braunschweig (there’s a bit of a story why) paid a visit to megabucks table toppers Bayern Munich on Saturday. Now Die Löwen sit in last place in the Bundesliga with only 8 points from 14 matches, so I wasn’t holding my breath for a miracle. In fact it only took 2 minutes for the winner to get scored, Arjen Robben sporting the new F50 Samba headed home the first goal, and pulled out what can only be described as the WORST celebration I’ve ever seen! I was harsh on the Dutchie last week for trying to force Mario Götze into celebrating his goal against his former club, so I shouldn’t have been surprised when he tried to hot dog after a goal against the favourites for the Wooden Spoon. Luckily, karma agreed with me that a fancy celebration was bang out of order so sit back and enjoy the pitch pulling the E-break on Arjen Robben. Robben added another after half an hour and Munich went out 2-nil winners. But the real winners were fans who don’t like red tights. 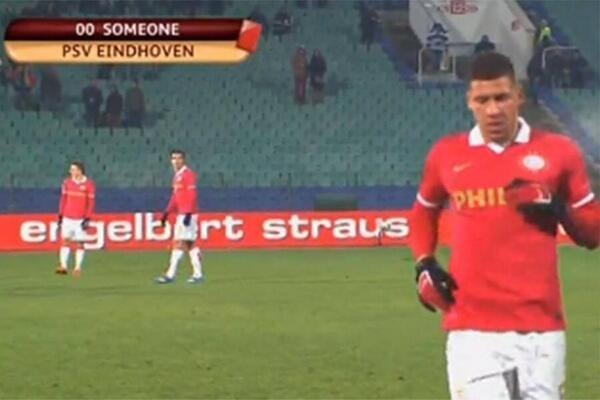 Stay classy Arjen and maybe you won’t ruin your tights! 3. Aaron Ramsey PFA Player of the Year? No attempts at humour here at all. It’s just what I feel is fact. Aaron Ramsey is hands down the run away favourite for Professional Footballers Association Player of the Year at this point in the season. The Predator LZ man has been immense in the Arsenal midfield this season and has taken to playing with Mesut Ozil like a duck takes to water. The Welshman was back on target against former club Cardiff City potting two goals to bring his totals this season to 8 in the Premier League. Hopefully I don’t jinx him but I do believe that Arsenal have found their new talisman. 4. Shocker at San Memes! Athletic Club Bilbao 1 Barcelona nil, no need to adjust your computers. Fresh off losing to Ajax in the Champions League, the undefeated Liga champions ventured into Basque Country to take on the plucky club who’ll only sign players who happen to be Basques! Despite enjoying over 60% possession, the visitors were out chanced by the home side and 20 minutes from time the home side got their just deserts as Iker Muniain who has switched over to the Nike Hypervenom from the old T90 line, and happens to be known as ‘The Spanish Messi’ got the winner. The loss was Barca’s first of the Liga campaign and sees them fall level on points with Atletico Madrid, while Bilbao climb to fourth with the big win. You’ve just scored the winner versus Barca, could you be a bit more excited mate? D’ya like heritage boots? Course ya do! Who don’t! Our resident heritage boot guru Kevin has been playing in the brand new Hummel Old School DK’s so find out if they were the boot for him, or possibly the boot for you? I mean Christmas IS around the corner! The gaffer as always was johnny on the spot with the release of the new colourway in the Skreamer silo from Warrior, have a look at what I think is the prettiest looking thing the Warrior crew have come up with thus far. Also if you missed out on the Black Friday deals, don’t worry, we’ve got the Cyber Monday specials for you, one last chance at getting a steal of a deal before the Christmas season. Speaking of Christmas! Stay tuned on the site over the next little while as there’s been some high level writers discussions at SC101 Towers and we look forward to bringing you a few feature pieces for the holidays! The good news? My beloved Sheffield United are now fifth bottom of the Sky Bet League One, and therefore out of the relegation zone on goal differential! I think this calls for a party! The bad news? Another draw! We just can’t finish matches off, after Liverpool loanee Conor Coady put us up with a well placed shot just after the hour mark, I thought we were done and dusted and leaving high flying Leyton Orient with all three points. But as I’ve heard so often this season that’s just not the Blades way. As 8 minutes from time O’s Dean Cox hit a wonder volley into the top corner, and the O’s nearly pinched it only being denied by two sterling saves from our George Long in the EIGHT minutes of added time. We’ve got Swindon at home on Saturday and I’m hoping that maybe we’ll be able to see a match out. COME ON YOU RED AND WHITE WIZARDS! And, that’s going to do it for another edition of The Soccer List, I’m sure by now you know that I was you making cutting passes and scoring worldies, so just keep on doing that! LOL. Arjen Robben is so frickin unlikable. Classless, flopping punk.